Today, more breakthroughs in life extension are happening than ever before. And I’m not talking about Ponce de Leon and his search for the Fountain of Youth. I’m talking about solid, hard-core evidence that clearly shows we can extend our lives in ways we’ve never imagined. Thanks to modern science, we’ve discovered that the key to anti-aging is something lobsters have in abundance. It’s an enzyme called telomerase that stops lobsters’ DNA from becoming damaged as it replicates. It also helps stop their cells from dying off. This protective enzyme gives lobsters “biological immortality.” They can live well into their 100s and grow to be 40 or 50 pounds while remaining vital, strong and healthy. Well… I wouldn’t want to be a lobster. But I would like to ward off age-related disease and slow down the aging process. And that’s where we can really use what we’ve learned from these sea creatures. Like the lobster, our cells divide and split apart. They’re constantly making copies of themselves. But, unlike the lobster, each time our cells divide, the protective caps at the ends of our DNA get shorter and shorter. These caps are called telomeres. They’re like the plastic tips at the ends of your shoelaces, and they help prevent strands of DNA from fraying. The shorter they become, the sooner the cells in your body die off. If we were lobsters, we wouldn’t have to worry about these problems. They produce enough telomerase to protect their telomeres and stop cells from dying. This, in turn, protects them from the metabolic effects of aging. There are several nutrients that can increase the length of your telomeres. For the most part, their effectiveness is attributed to their powerful antioxidant ability rather than their ability to activate telomerase expression. So, today, let’s talk about how to extend and protect your telomeres. Then, in Friday’s issue, we’ll tackle ways to increase telomerase activity. Folic acid and Vitamin B12 supplements can both keep your telomeres longer than if you don’t supplement with them. I suggest 800 mcg. of activated folic acid (folate from organic, dark-green, leafy veggies), or 5-methyltetrahydrofolate (5-MTHF) daily. And for your daily B12, I recommend at least 1,000 mcg. of methylcobalamin or hydroxocobalamin taken sublingually via dissolvable tablet or spray. Green tea is another big winner when it comes to your telomeres. I’ve seen reports that show people who drink three cups of green tea a day have telomeres that are about five years younger than those who don’t drink it. If you don’t like green tea, you can always take it in supplement form. Look for one that contains epigallocatechin gallate (EGCG) and is standardized to contain 60% polyphenols. For the most impact, set a goal of 240 to 320 mg. of polyphenols every day. Vitamin D deficiency is common here in the U.S. If your levels are low, your telomeres could be five years older than they should be. If you choose to supplement, look for a formula that contains vitamin D3, also known as cholecalciferol. I suggest 2,000 IU daily and up to 5,000 IU if you’ve been tested as deficient. Omega-3 fish oil may be one of the most important nutrients for telomere support. It not only slows down telomere shortening, it also helps to lengthen them. And this can happen in as little as four months. Look for a cold-water fish oil supplement that contains at least 360 mg. of DHA and 540 mg. of EPA. Multi-vitamins normally include folic acid, vitamin B12 and vitamin D, which I mentioned above. This may explain why women who take a daily multivitamin have telomeres that are about 10 years younger than women who don’t. Look for a full-spectrum formula with plenty of antioxidants – which can also help preserve and lengthen your telomeres. Stay tuned for Friday’s issue of Advanced Natural Wellness to learn more tips on how to lengthen your telomeres and, just as importantly, increase telomerase activity. Klapper W, et. al. “Longevity of Lobsters is Linked to Ubiquitous Telomerase Expression.” FEBS Lett. 1998; 143-6. Moores CJ, et al. “Telomere dynamics: the influence of folate and DNA methylation.” Ann N Y Acad Sci. 2011 Jul;1229:76-88. Paul L, et al. “Telomere length in peripheral blood mononuclear cells is associated with folate status in men.” J Nutr. 2009 Jul;139(7):1273-8. Chan R. “Chinese tea consumption is associated with longer telomere length in elderly Chinese men.” British Journal of Nutrition. 2010;103:107-113. Liu JJ, et al. “Plasma vitamin d biomarkers and leukocyte telomere length.” Am J Epidemiol. 2013 Jun 15;177(12):1411-7. Richards JB, et al. “Higher serum vitamin D concentrations are associated with longer leukocyte telomere length in women.” Am J Clin Nutr. 2007 Nov;86(5):1420-5. Kiecolt-Glaser JK, et al. “Omega-3 fatty acids, oxidative stress, and leukocyte telomere length: A randomized controlled trial.” Brain Behav Immun. 2012 Sep 23. pii: S0889-1591(12)00431-X. [Epub ahead of print]. 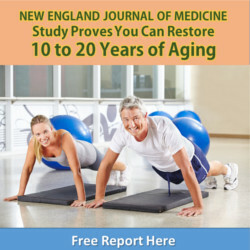 This entry was posted in Live Longer Lose Weight and tagged anti-aging, fountain of youth, youth on March 10, 2014 by Advanced Natural Wellness.